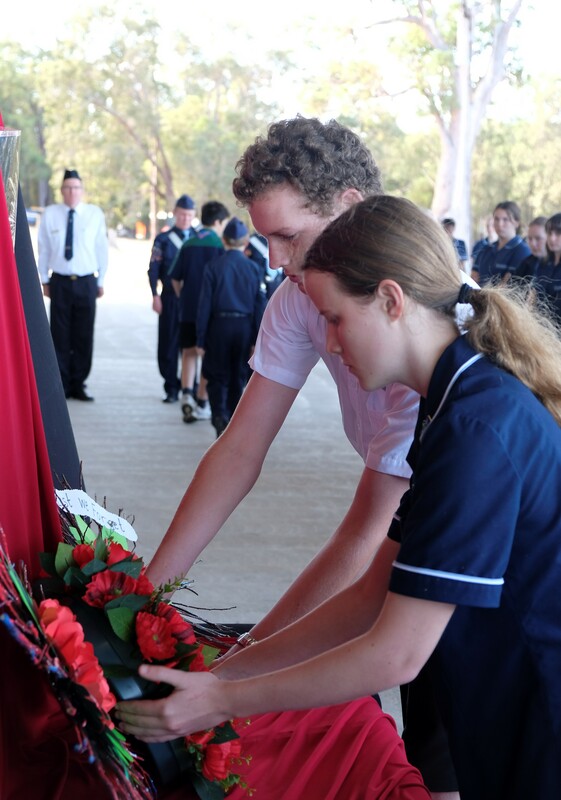 In the last week of Term 1, Secondary students participated in an ANZAC Assembly. 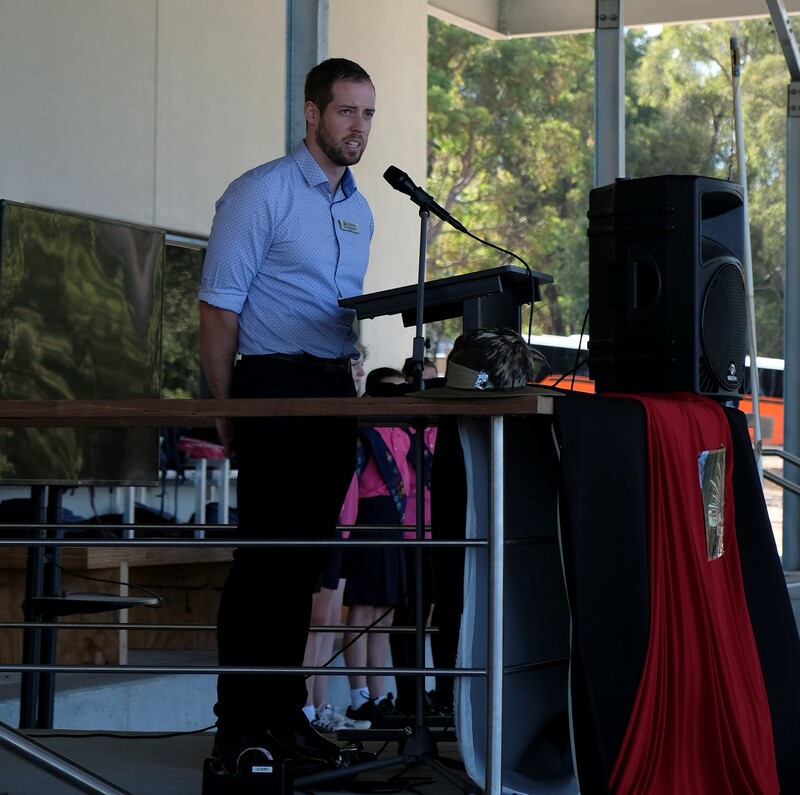 The following speech was given by MCC teacher Mr Scott Hewson. This afternoon I have been asked to share what ANZAC day means to me. I will answer this question by talking about the unit I served with. The 10th light horse. Our school has a strong representation of service. Myself, Mr. Elsing, Mr. Meyer, Mr. B, Mr. Hurworth, Mr. Rosolin and Miss Argentieri all share in this legacy. When I first joined the Army, ANZAC Day symbolised glory, honour and pride, almost 8 years later and my perspective has changed, I now feel an incredible sense of respect, gratitude and humility. I enlisted into the Australian Army Reserve in September 2010 into Alpha Squadron, 10th Light Horse Regiment, as I would later find out this unit had an incredible amount of ANZAC history. I have with me today, my slouch hat, worn by all Australian Soldiers and the emu plume which distinguishes the wearer as Cavalry. Legend has it that the plume was earnt by a soldier who, while on horseback could chase down an emu and pluck its tail feathers. Wearing the plume has became a unique tradition for all Australian Cavalry Units. My unit, the 10th light horse of which this badge and these colours represent, earnt its reputation at Gallipoli. On ANZAC Day 103 years ago, the morning of the 25th of April, the ANZACS landed at Gallipoli on a beach that would become known as ANZAC Cove. After 5 months of hard fighting 600 men from the Australian light horse were given a specific mission, to charge enemy positions along a narrow ridge called the Nek. These were men from Perth, men who grew up in Mundaring and Parkerville, men who lived in the wheatbelt and the goldfields, men from Midland and Guildford and Bassendean. Brothers and Fathers and Uncles and Cousins, Australia’s finest young men. Men who signed up to serve their country and fight for freedom. Many who were still boys. To put this attack into perspective it would have been like 3 x the people in this room lining up and running 30 metres across an area the width of the basketball courts. The charge at the Nek did not go to plan. The tragedy of that day was that two officers failed to follow protocol and synchronise their watches. A navel bombardment designed to clear the enemy trenches finished 7 minutes before the charge, giving the enemy time to prepare for an attack. 4 waves, 600 Western Australians, ran out onto no mans land, straight into enemy machine guns with no hope of victory, wave after wave went over the top. There were 372 casualties before the attack was called off. The significance of ANZAC day and the significance of the sacrifice of the men of the 10th light horse at the Nek did not become clear to me till I became a father. A diary was taken from a body of one of the cavalrymen at Gallipoli, the last entry read... We arrived at firing line at 10 o'clock this morning having a very bad time so far, machine guns played hell on our men, they were getting killed all around me, I have escaped so far. Thinking a lot of my wife and child. The trooper who wrote these words was killed in action later that day. As we all remember ANZAC Day, remember the soldiers who gave their lives, remember the families who lost their sons, remember the mates who watched their brothers die, remember the orphans who never saw their fathers again and the widows who never got to say goodbye. Remember the sacrifice that has been made by all Australian soldiers since Gallipoli, army, navy and airforce, men and women, the sacrifice that bought us our nation's sovereignty and the freedom we now enjoy. So on the 25th of this Month, while you are enjoying your holidays, wherever you are, we will remember them.